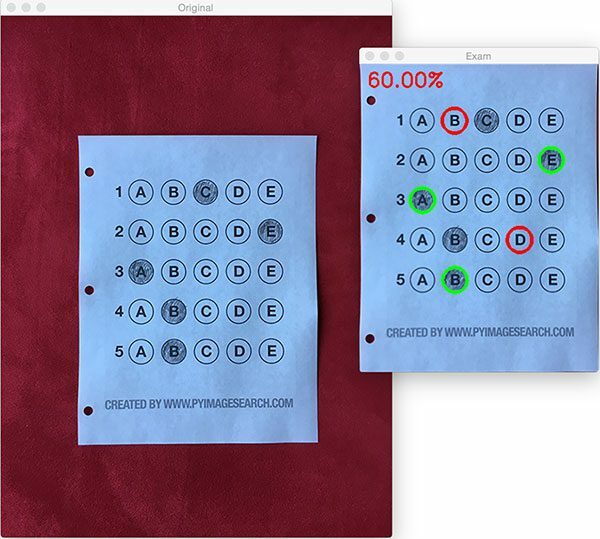 Over the past few months I’ve gotten quite the number of requests landing in my inbox to build a bubble sheet/Scantron-like test reader using computer vision and image processing techniques. And while I’ve been having a lot of fun doing this series on machine learning and deep learning, I’d be lying if I said this little mini-project wasn’t a short, welcome break. One of my favorite parts of running the PyImageSearch blog is demonstrating how to build actual solutions to problems using computer vision. In fact, what makes this project so special is that we are going to combine the techniques from many previous blog posts, including building a document scanner, contour sorting, and perspective transforms. Using the knowledge gained from these previous posts, we’ll be able to make quick work of this bubble sheet scanner and test grader. You see, last Friday afternoon I quickly Photoshopped an example bubble test paper, printed out a few copies, and then set to work on coding up the actual implementation. Overall, I am quite pleased with this implementation and I think you’ll absolutely be able to use this bubble sheet grader/OMR system as a starting point for your own projects. 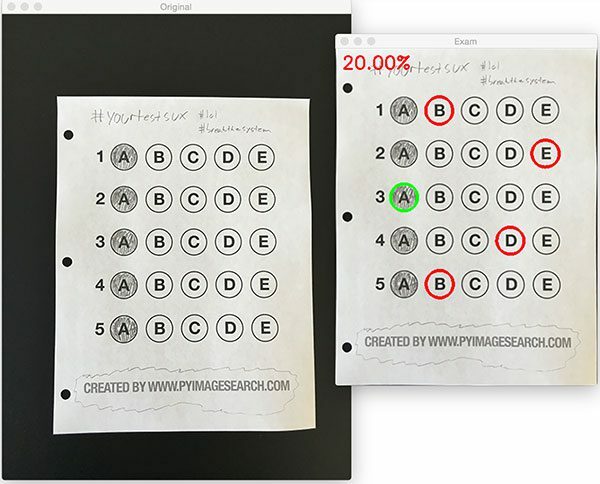 To learn more about utilizing computer vision, image processing, and OpenCV to automatically grade bubble test sheets, keep reading. In the remainder of this blog post, I’ll discuss what exactly Optical Mark Recognition (OMR) is. I’ll then demonstrate how to implement a bubble sheet test scanner and grader using strictly computer vision and image processing techniques, along with the OpenCV library. Once we have our OMR system implemented, I’ll provide sample results of our test grader on a few example exams, including ones that were filled out with nefarious intent. Finally, I’ll discuss some of the shortcomings of this current bubble sheet scanner system and how we can improve it in future iterations. What is Optical Mark Recognition (OMR)? Optical Mark Recognition, or OMR for short, is the process of automatically analyzing human-marked documents and interpreting their results. 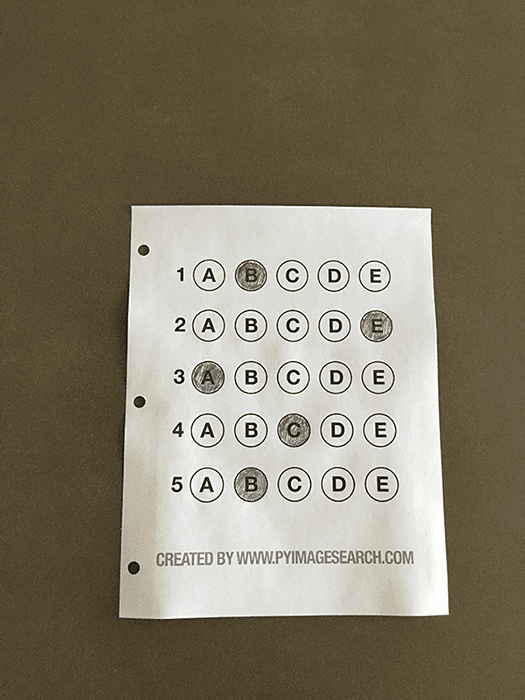 Arguably, the most famous, easily recognizable form of OMR are bubble sheet multiple choice tests, not unlike the ones you took in elementary school, middle school, or even high school. 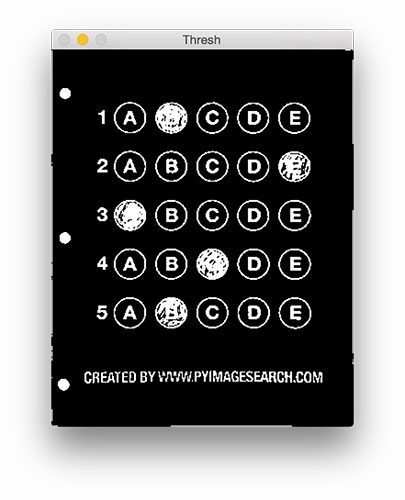 If you’re unfamiliar with “bubble sheet tests” or the trademark/corporate name of “Scantron tests”, they are simply multiple-choice tests that you take as a student. Each question on the exam is a multiple choice — and you use a #2 pencil to mark the “bubble” that corresponds to the correct answer. The most notable bubble sheet test you experienced (at least in the United States) were taking the SATs during high school, prior to filling out college admission applications. I believe that the SATs use the software provided by Scantron to perform OMR and grade student exams, but I could easily be wrong there. I only make note of this because Scantron is used in over 98% of all US school districts. In short, what I’m trying to say is that there is a massive market for Optical Mark Recognition and the ability to grade and interpret human-marked forms and exams. 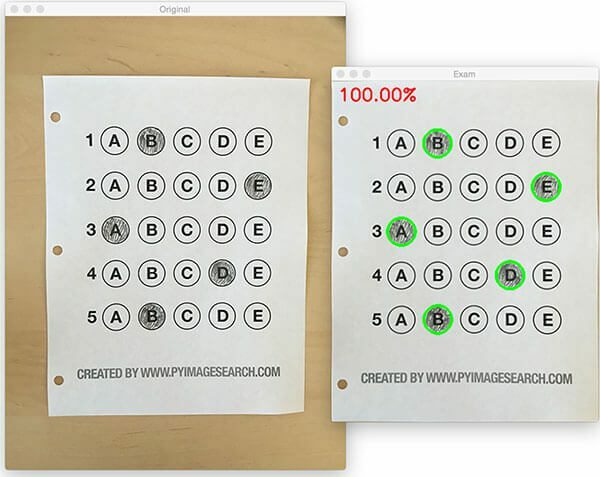 Now that we understand the basics of OMR, let’s build a computer vision system using Python and OpenCV that can read and grade bubble sheet tests. Of course, I’ll be providing lots of visual example images along the way so you can understand exactly what techniques I’m applying and why I’m using them. Figure 1: The example, filled in bubble sheet we are going to use when developing our test scanner software. We’ll be using this as our example image as we work through the steps of building our test grader. Later in this lesson, you’ll also find additional sample exams. 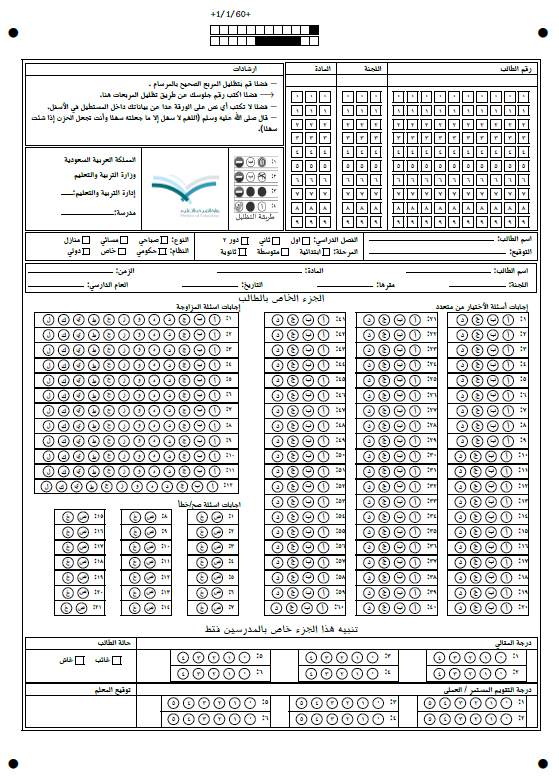 I have also included a blank exam template as a .PSD (Photoshop) file so you can modify it as you see fit. You can use the “Downloads” section at the bottom of this post to download the code, example images, and template file. The goal of this blog post is to build a bubble sheet scanner and test grader using Python and OpenCV. Step #1: Detect the exam in an image. Step #2: Apply a perspective transform to extract the top-down, birds-eye-view of the exam. Step #3: Extract the set of bubbles (i.e., the possible answer choices) from the perspective transformed exam. Step #4: Sort the questions/bubbles into rows. Step #5: Determine the marked (i.e., “bubbled in”) answer for each row. Step #6: Lookup the correct answer in our answer key to determine if the user was correct in their choice. Step #7: Repeat for all questions in the exam. The next section of this tutorial will cover the actual implementation of our algorithm. On Lines 2-7 we import our required Python packages. Lines 10-12 parse our command line arguments. 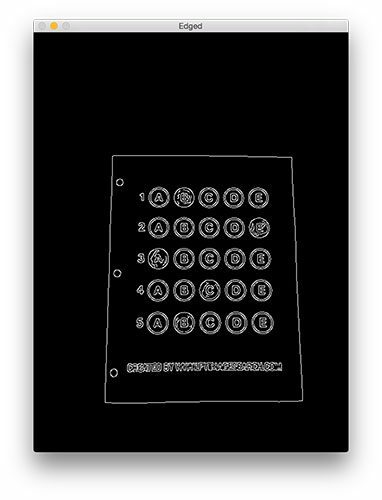 We only need a single switch here, --image , which is the path to the input bubble sheet test image that we are going to grade for correctness. Line 17 then defines our ANSWER_KEY . As the name of the variable suggests, the ANSWER_KEY provides integer mappings of the question numbers to the index of the correct bubble. In this case, a key of 0 indicates the first question, while a value of 1 signifies “B” as the correct answer (since “B” is the index 1 in the string “ABCDE”). As a second example, consider a key of 1 that maps to a value of 4 — this would indicate that the answer to the second question is “E”. On Line 21 we load our image from disk, followed by converting it to grayscale (Line 22), and blurring it to reduce high frequency noise (Line 23). We then apply the Canny edge detector on Line 24 to find the edges/outlines of the exam. Figure 2: Applying edge detection to our exam neatly reveals the outlines of the paper. Notice how the edges of the document are clearly defined, with all four vertices of the exam being present in the image. Now that we have the outline of our exam, we apply the cv2.findContours function to find the lines that correspond to the exam itself. We do this by sorting our contours by their area (from largest to smallest) on Line 37 (after making sure at least one contour was found on Line 34, of course). This implies that larger contours will be placed at the front of the list, while smaller contours will appear farther back in the list. We make the assumption that our exam will be the main focal point of the image, and thus be larger than other objects in the image. This assumption allows us to “filter” our contours, simply by investigating their area and knowing that the contour that corresponds to the exam should be near the front of the list. However, contour area and size is not enough — we should also check the number of vertices on the contour. To do, this, we loop over each of our (sorted) contours on Line 40. For each of them, we approximate the contour, which in essence means we simplify the number of points in the contour, making it a “more basic” geometric shape. You can read more about contour approximation in this post on building a mobile document scanner. On Line 47 we make a check to see if our approximated contour has four points, and if it does, we assume that we have found the exam. Figure 3: An example of drawing the contour associated with the exam on our original image, indicating that we have successfully found the exam. Sure enough, this area corresponds to the outline of the exam. Orders the (x, y)-coordinates of our contours in a specific, reproducible manner. Applies a perspective transform to the region. Figure 4: Obtaining a top-down, birds-eye view of both the original image (left) along with the grayscale version (right). Alright, so now we’re getting somewhere. We found our exam in the original image. We applied a perspective transform to obtain a 90 degree viewing angle of the document. But how do we go about actually grading the document? Figure 5: Using Otsu’s thresholding allows us to segment the foreground from the background of the image. 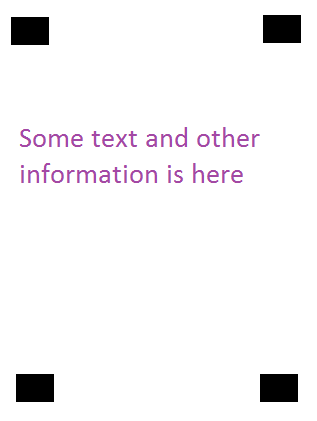 Notice how the background of the image is black, while the foreground is white. Lines 64-67 handle finding contours on our thresh binary image, followed by initializing questionCnts , a list of contours that correspond to the questions/bubbles on the exam. To determine which regions of the image are bubbles, we first loop over each of the individual contours (Line 70). For each of these contours, we compute the bounding box (Line 73), which also allows us to compute the aspect ratio, or more simply, the ratio of the width to the height (Line 74). Be sufficiently wide and tall (in this case, at least 20 pixels in both dimensions). Have an aspect ratio that is approximately equal to 1. As long as these checks hold, we can update our questionCnts list and mark the region as a bubble. Figure 6: Using contour filtering allows us to find all the question bubbles in our bubble sheet exam recognition software. Notice how only the question regions of the exam are highlighted and nothing else. First, we must sort our questionCnts from top-to-bottom. This will ensure that rows of questions that are closer to the top of the exam will appear first in the sorted list. We also initialize a bookkeeper variable to keep track of the number of correct answers. On Line 90 we start looping over our questions. Since each question has 5 possible answers, we’ll apply NumPy array slicing and contour sorting to to sort the current set of contours from left to right. The reason this methodology works is because we have already sorted our contours from top-to-bottom. We know that the 5 bubbles for each question will appear sequentially in our list — but we do not know whether these bubbles will be sorted from left-to-right. The sort contour call on Line 94 takes care of this issue and ensures each row of contours are sorted into rows, from left-to-right. Figure 7: By sorting our contours from top-to-bottom, followed by left-to-right, we can extract each row of bubbles. Therefore, each row is equal to the bubbles for one question. Given a row of bubbles, the next step is to determine which bubble is filled in. Line 98 handles looping over each of the sorted bubbles in the row. We then construct a mask for the current bubble on Line 101 and then count the number of non-zero pixels in the masked region (Lines 107 and 108). The more non-zero pixels we count, then the more foreground pixels there are, and therefore the bubble with the maximum non-zero count is the index of the bubble that the the test taker has bubbled in (Line 113 and 114). Figure 8: An example of constructing a mask for each bubble in a row. 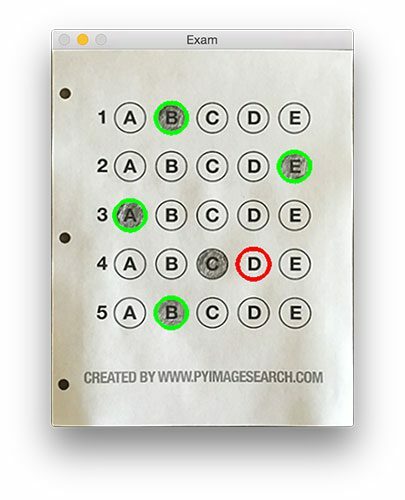 Clearly, the bubble associated with “B” has the most thresholded pixels, and is therefore the bubble that the user has marked on their exam. Figure 9: Drawing a “green” circle to mark “correct” or a “red” circle to mark “incorrect”. Figure 10: Finishing our OMR system for grading human-taken exams. In this case, the reader obtained an 80% on the exam. The only question they missed was #4 where they incorrectly marked “C” as the correct answer (“D” was the correct choice). Why not use circle detection? To start, tuning the parameters to Hough circles on an image-to-image basis can be a real pain. But that’s only a minor reason. How many times, whether purposely or not, have you filled in outside the lines on your bubble sheet? I’m not expert, but I’d have to guess that at least 1 in every 20 marks a test taker fills in is “slightly” outside the lines. Hough circles don’t handle deformations in their outlines very well — your circle detection would totally fail in that case. Because of this, I instead recommend using contours and contour properties to help you filter the bubbles and answers. The cv2.findContours function doesn’t care if the bubble is “round”, “perfectly round”, or “oh my god, what the hell is that?”. Instead, the cv2.findContours function will return a set of blobs to you, which will be the foreground regions in your image. You can then take these regions process and filter them to find your questions (as we did in this tutorial), and go about your way. To see our bubble sheet test grader in action, be sure to download the source code and example images to this post using the “Downloads” section at the bottom of the tutorial. Here we can see that a particularly nefarious user took our exam. They were not happy with the test, writing “#yourtestsux” across the front of it along with an anarchy inspiring “#breakthesystem”. They also marked “A” for all answers. Figure 11: By using contour filtering, we are able to ignore the regions of the exam that would have otherwise compromised its integrity. Figure 12: Building a bubble sheet scanner and test grader using Python and OpenCV. 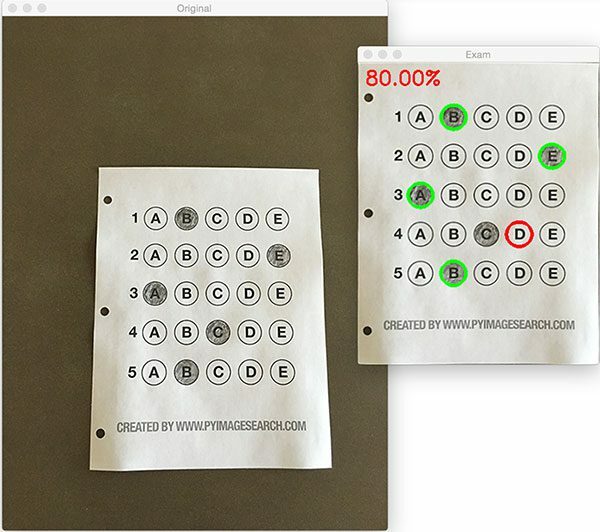 Figure 13: Optical Mark Recognition for test scoring using Python and OpenCV. Unfortunately for the test taker, this strategy didn’t pay off very well. 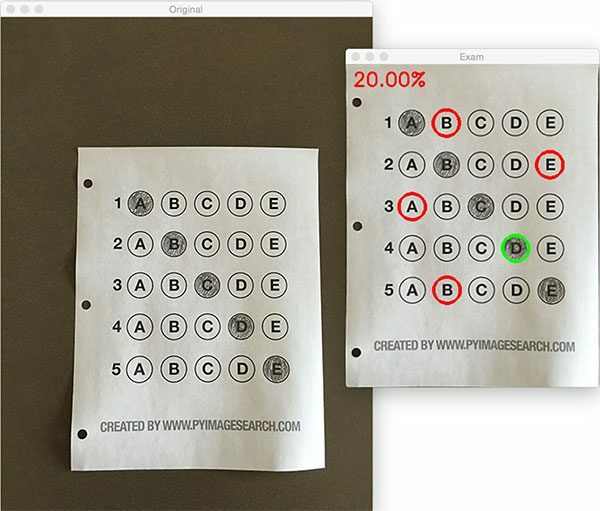 Figure 14: Recognizing bubble sheet exams using computer vision. This student clearly studied ahead of time, earning a perfect 100% on the exam. Admittedly, this past summer/early autumn has been one of the busiest periods of my life, so I needed to timebox the development of the OMR and test scanner software into a single, shortened afternoon last Friday. While I was able to get the barebones of a working bubble sheet test scanner implemented, there are certainly a few areas that need improvement. The most obvious area for improvement is the logic to handle non-filled in bubbles. In the current implementation, we (naively) assume that a reader has filled in one and only one bubble per question row. What happens if a user does not bubble in an answer for a particular question? What if the user is nefarious and marks multiple bubbles as “correct” in the same row? Luckily, detecting and handling of these issues isn’t terribly challenging, we just need to insert a bit of logic. Figure 15: Detecting if a user has marked zero bubbles on the exam. If this value is sufficiently large, then we can mark the bubble as “filled in”. Conversely, if total is too small, then we can skip that particular bubble. If at the end of the row there are no bubbles with sufficiently large threshold counts, we can mark the question as “skipped” by the test taker. Figure 16: Detecting if a user has marked multiple bubbles for a given question. Again, all we need to do is apply our thresholding and count step, this time keeping track if there are multiple bubbles that have a total that exceeds some pre-defined value. If so, we can invalidate the question and mark the question as incorrect. In this blog post, I demonstrated how to build a bubble sheet scanner and test grader using computer vision and image processing techniques. Specifically, we implemented Optical Mark Recognition (OMR) methods that facilitated our ability of capturing human-marked documents and automatically analyzing the results. 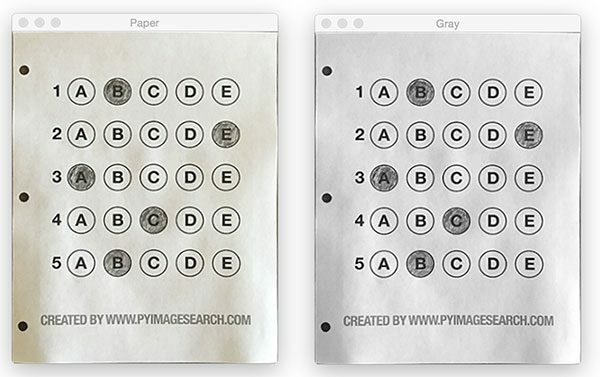 Finally, I provided a Python and OpenCV implementation that you can use for building your own bubble sheet test grading systems. If you have any questions, please feel free to leave a comment in the comments section! But before you, be sure to enter your email address in the form below to be notified when future tutorials are published on the PyImageSearch blog! what if the candidate marked one bubble, realised it’s wrong, crossed it out, and marked another? will this system still work? 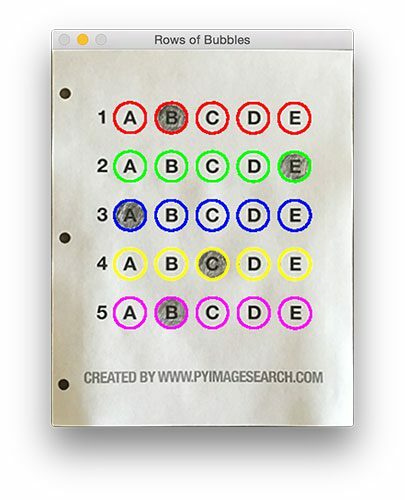 When taking a “bubble sheet” exam like this you wouldn’t “cross out” your previous answer — you would erase it. The assumption is that you always use pencils for these types of exams. Made this a long time ago for android, when I used to give a cocktail party on every Friday the 13th. 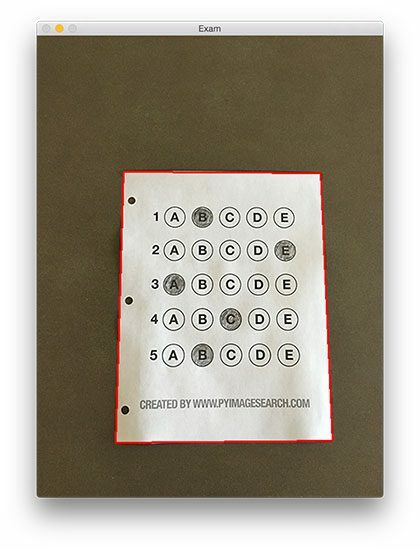 We always had a quiz, which took more than an hour to grade, so I made an app for it! Has long since been taken offline because I was banned from the Google Play Store. Very nice, thanks for sharing Jurriaan! Can I get you source code ? One question though. ideally (assuming the input image was already a birds-eye view), won’t the loop in lines 26-49 be sufficient to detect the circle contours too? If the image is already a birds-eye-view, then yes, you can use the same contours that were extracted previously — but again, you would have to make the assumption that you already have a birds-eye-view of the image. I was wondering how to handle such OMR sheets. any idea or algorithm please? I would suggest using more contour filtering. You can use contours to find each of the “boxes” in the sheet. Sort the contours from left-to-right and top-to-bottom. Then extract each of the boxes and process the bubbles in each box. What can I do to detect the four anchor points and transform the paper incase it rotates? As long as you can detect the border of the paper, it doesn’t matter how the paper is oriented. The four_point_transform function will take care of the point ordering and transformation for you. I understand, but what If the paper is cropped being rotated without border of the paper? What technique shall I use to detect the four anchor points please? If you do not have the four corners of the paper (such as the corners being cropped out) then you cannot apply this perspective transform. It looks like the marks on the right side of the paper are aligned with the target areas. You could threshold the image, findContours and filter contours in the leftmost 10% of the image to find the rows and sort them by y-position. Then you could look for contours in the rest of the area. The index of the closest alignment mark for y-direction gives row, the x position as percentage of the page width gives column. Once you have the column and row of each mark, you just need “normal code” to interpret which question and answer this represents. you can design any form in the world. Nice to see your implementation of this. I started a similar project earlier this year but I ended up putting it on parking for now. My main concern was the amount of work it goes into making one work right without errors and the demand didn’t seem to be there. Seems like scantron has a monopoly on this. There are a lot of companies in this space actually. I would suggest reading this thread on reddit to learn more about the companies involved and what they are doing for OMR. please, send me your code! You can download the code + example images to this post by using the “Downloads” form above. Hi thank you very much..
giving me only one counter as a result only one question is being identified. I’m not sure what you mean by “giving me only one contour as a result”. Can you please elaborate? In my case, Image contain 4 reference rectangle which is base for image deskewing. 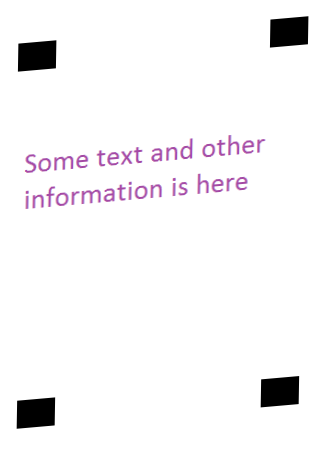 Assume, Image contain some other information like text, circle and rectangle. Now, I want to write a script to straighten the image based on four rectangle.my resultant image should be straighten. So i can extract some information after deskewing it.How can be possible it? When i used for my perspective transformation, it only detects highest rectangle contour. So your question is on deskewing? I don’t have any tutorials on how to deskew an image, but I’ll certainly add it to my queue. I am waiting for that tutorial. i am not getting proper reference for deskewing of image in my scenario. In image there is barcode as well as that 4 small rectangle. i am not able to deskew it because of barcode in side that. As i am building commercial s/w, i can not provide real images here only. In side image, i have to extract person’s unique id and age, DOB which are in terms of optical mark. Once i scan form which is based on OMR i need to extract those information. Is there any approach which can help me to achieve this goals? I am very thankful to your guidance. As I mentioned, I’ve added it to my queue. I’ll try to bump it up, but please keep in mind that I am very busy and cannot accommodate every single tutorial request in a timely manner. Thank you for your patience. – the code now capturing the image from laptop camera. – added dropdown to selected answer key. – added the date in the name of the result (result+date+.png). can i send the cod to you, and is this code opensource, free. Hi Silver — feel free to send me the code or you can release it on your own GitHub page. If you don’t mind, I would appreciate a link back to the PyImageSearch site, but that’s not necessary if you don’t want to. 1. In image, bubbles are somewhere near to rectangle where student can write manually their roll number because after thresolding bubbles get touched to rectangle. so, it can’t find circle. 2. If bubble filled out of the boundary, again it can’t be detectable. 3. False detection of circle because of similar height and width. If you’re running into issues where the bubbles are touching other important parts of the image, applying an “opening” morphological operation to disconnect them. What about second and third issue? Is there any rough idea which can help me to sort out it? It’s hard to say without seeing examples of what you’re working with. I’m not sure what you mean by if the bubble is filled in outside the circle it being impossible to detect — the code in this post actually helps prevent that by alleviating the need for Hough circles which can be hard to tune the parameters to. Again, I get the impression that you’re using Hough circles instead of following the techniques in this post. Dear sir I have install imutils but I am still facing “ImportError: No module named ‘imutils'” kingly guide me. Can this also work with many items in the exam like 50 or 100? Yes. As long as you can detect and extract the rows of bubbles this approach can work. Adrian, do you have the android version of this application? You will need to port the Python code to Java if you would like to use it as an Android application. Do you have a code for this in java? I am planning a project similar to this one, I am having problems especially since this program was created in python and using many plugin modules which is not available in java. Hey Nic — I only provide Python and OpenCV code on this blog. If you are doing this for a school project I would really suggest you struggle and fight your way through the Python to Java conversion. You will learn a lot more that way. Hi again adrian, thanks for the reply on my previous comments. Can you provide a code that can allow this code to run directly on a python compiler rather than running the program on cmd. I would like to focus on python for developing a project same on this one, I’ve ask many experts and python was the first thing they recommended since it can create many projects and provides many support on many platforms unlike java. Hey Nic — while I’m happy to help point readers like yourself in the write direction, I cannot write code for you. I would suggest you taking the time to learn and study the language. 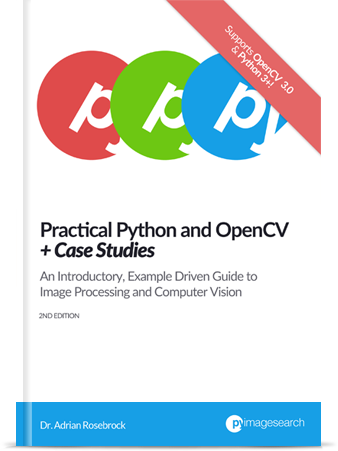 If you need help learning OpenCV and computer vision, take a look at Practical Python and OpenCV. Can this process of computation be possible in a mobile devices alone using openCV and python? If yes, In what way can it be done? Most mobile devices won’t run native Python + OpenCV code. 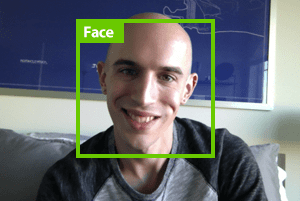 If you’re building for iOS, you would want to use Swift/Objective-C + OpenCV. For Android, Java + OpenCV. I’m not sure what you mean Pawan. Can you please elaborate? Without knowing what your errors are, it’s impossible to point you in the right direction. In fact, try the same. —-> same result, edged dont have paper contour well defined as your image. Must we have to convert jpeg to png ? when i show your edged image with test_01.png, we have a high quality of contour. Could you please explain how you get a so well defined contour ? The best way to ensure you have a well defined contour is to ensure there is contrast between your paper and your background. For example, if you place a white piece of paper on a white countertop, there is going to be very little contrast and it will be hard for the edge detection algorithm to find the outlines of the paper. Place the paper on a background with higher contrast and the edges will easily be found. I’m getting a really weird error and was hoping if you could provide some guidance. First of all, I’m using my own omr that is a bit different from yours. I did up to finding thresh and got a really nice clear picture. However, when I try to find the bubbles, it fails to find them. The only contour it gives is the outermost boundary. On the other hand, if I do some additional steps on “warp” before finding thresh, I get almost all the bubbles. Here are the additional steps I performed on “warp”. I was wondering if you have any insights on this matter. Why is it not finding contours for the bubbles if I don’t do some steps on “warp”? The picture of “thresh” seems to have very clear boundaries of bubble. If this is confusing, I’d love to share with you my code and some images I generated to give you a more clear picture of what’s going on. The best way to diagnose this issue would be to see what your thresh image looks like. Also, is there any reason why you are using cv2.RETR_TREE? Usually for this application you would use cv2.RETR_EXTERNAL, but again, that is really dependent on what your thresh image looks like. And for using RETR_EXTERNAL instead of RETR_TREE when processing warp, thank you for the suggestion. I was able to detect few more bubbles using RETR_EXTERNAL. I used RETR_TREE previously for cropping my omr image. (when I used RETR_EXTERNAL, I wasn’t able to crop the image properly for some reason) Here is the link to my original image for your information. I think I see the issue. The thresholded image contains white pixels along the borders. That is what is causing the contour detection to return strange results. Remove the white pixels along the boundaries and your script should work okay. You’ll want to change Line 90 so that the code only looks for 4 circles along the row instead of 5. Thanks for a really good post. This has helped me a lot. I have doubt but. I was able to detect the contour of my paper only after removing this line. The cv2.findContours return signature changed between OpenCV 2.4 and OpenCV 3. You can read more about this change (and the associated function call) here. How to divide circles if options are not equally divide? cnts = contours.sort_contours(questionCnts[i:i + 5]). In my case, somewhere, it is like 4 option or 3 option. How to resolve uneven division issue? hello.. in need of your help. the system gives me a traceback error while installing imutils. why is this happening and how can i get over it.? What is the error you are getting when installing imutils? Without knowing the error, neither myself nor any other PyImageSearch reader can help. Please read up on command line arguments before continuing. please tell me how sorting is working?? Are you referring to contour sorting? If so, I cover contour sorting in detail in this blog post. Adrian, it is a great post for learners like me. I had this problem in detecting circle contours, for non filled circles it is detecting inside as well as outside edge of the circle. any method by which i can make it to detect only outside edges ?? I would suggest working with your pre-processing methods (edge detection and thresholding) to create a nicer edge map. Secondly, make sure you are passing the cv2.RETR_EXTERNAL into cv2.findContours. Is there any specific blog or tutorial about porting python code to java? I am developing Application in android and struggling with few points. Sorry, I am pretty far removed from the Java + OpenCV world so no recommendations come to mind. I had to add “break” in line 125 and de-indent line 127 to get proper score and still draw the circles after the break. Otherwise (1) score was increased with every iteration after finding a filled bubble (resulting in final 280%) and (2) contours were drawn also repetitively. Maybe I made a mistake somewhere else in the code but the above fixed it. I’m glad you added a section about dealing with unexpected input (e.g. no bubbles filled or more than 1 filled), I wish more of your tutorials had such critical analysis. Hi Tom — always make sure you use the “Downloads” section of a post when running the code. Don’t try to copy and paste it as that will likely introduce indentation errors/bugs. I’m trying to identify crosses in the check-boxes using similar approach, the problem I’m having is the mask becomes hollow box instead of the type we obtain here which is just the outline of the bubble (The reason for this is the bubble have alphabet inside and checkbox is completely blank). Thereafter, when I try to calculate total pixels (using bit-wise and logic between mask and thresh checkbox), the totals are somehow incorrect. As a result, the box that gets highlighted at the end is the one that is not crossed? Any suggestion how to modify the mask on plain boxes and check boxes without any background serialization? Hi Pjay — do you have any example images of the crosses and check-boxes you are using? That might help me point you in the right direction. Hi. do you guys have links to tutorials or blogs that I can follow to develop the same bubble sheet scanner for android? I have this project and I really don’t know where to start. I would appreciate any suggestions. My name is Otis Olifant from an agency in South Africa called SPACE Grow Media. The company is hosting an event in Munich next year. There will be an exam during the event which will require a third party to assist us in marking the exam papers. I would like to ask if you will be able to assist me in marking the exam papers written at the event. If you are able to assist, may I please request that you reply to this mail with a formal high level price quotation for marking the papers. Hi Otis — while I’m happy to help point you in the right direction, I cannot write code for you. I hope you understand. 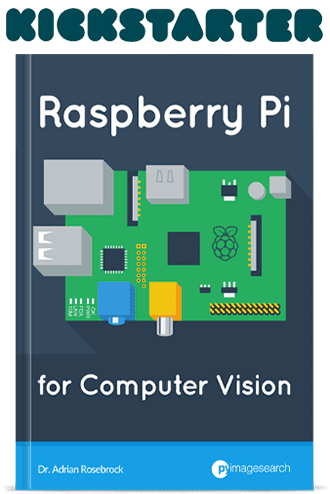 I would suggest you post your project on PyImageJobs, a computer vision and OpenCV jobs board I created to help connect employers with computer vision developers. Please take a look and consider posting your project — I know you would get a number of applicants. I want to know how can orientation be considered in the algorithm. In your examples the photos are well taken, but what if an user takes a photo upside down? would the algorithm still work but with wrong results? In some example sheets I have seen that 4 squares in the corners are used, but I don’t understand how could that determine the right orientation. Thank you in advance. Hi Daniel — this particular example does not consider orientation. You can modify it to consider orientation by detecting markets on each of the four corners. One marker should be different than the rest. If you can detect that marker you can rotate it such that the orientation is the same for all input images. Double-check the path to your input image. It sounds like cv2.imshow is reading the path to an invalid image and returning “None”. Hi, I have a question ! I took my exam yesterday and I’m quite concerned with my answers because I got to shade ¼ of each the circles only. I just tried to put mark inside the circles while I was answering. After I finished my exam the proctor didn’t anymore allow me to shade so some of the circles were left ¼ shaded only. 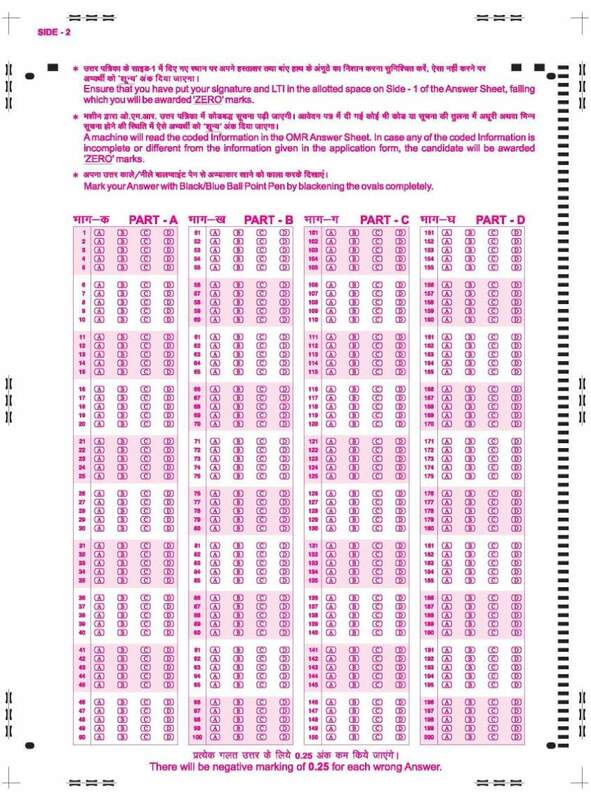 Will the scantron be able to read them? ? The Scantron software is normally pretty good at recognizing partially filled in bubbles, but you should really take the time to fill in bubbles fully when you take an exam. Thanks a lot for such a nice article, I coded the same and found your blog very helpful. I have a major doubt, why some of major bubble sheet providers have a vertical strip of black markers. I searched it a lot, I just came to know that it will improve accuracy. but how the vertical strip of black markers is helpful to detect circles/elipses in the image. Searching a lot, but could not find the reason of black strip of vertical markers on the right of the sheet. Yes, it would still work. Is it possible to get output in .xls or .csv file? Can we scan multiple pages bubble sheets? Can we scan multiple students multi pages bubble sheets? Sure, you can absolutely save the output to a CSV file. A CSV file is just a comma separated file. If you’re new to CSV files I would encourage you to do your research on them. They are very easy to work with. It sounds like your document contour region was not properly found. This method assumes that the document has 4 vertices. Double-check the output of the contour approximation. The picture is perfect i do not why it is not working. The image i have given as input have 4 corners visible. Okay, but what does OpenCV report? Does OpenCV report four corners after the contour approximation? I would like to ask if you have a test image when the examinee circles 2 answers for 1 question. I don’t have a test image for this but you can update the code to sort the bubbles based on how filled in they are and keep the two bubbles with the largest filled in values. When my input is the original image of yours, which is without any bubble has been filled, it doesn’t work. How come I solve this problem? Please show me. Thank you. Can you be more descriptive of what you mean by “it doesn’t work”? I’m happy to help but keep in mind that I cannot help if you do not provide more details on what specifically isn’t working. What if student leave some question blank? Any way I can be notified once empty answer is detected? I address this in the blog post. See the “Extending the OMR and test scanner” section. Hello Adrian, I not see your adress. Please shared me your adress. And I ask for your support in a matter. You can use the PyImageSearch contact form to get in contact with me. 1) If I were to add additional questions to include a total of 20 questions and only have 4 answer options, where would I edit the code? 2) Is it possible to include fill-in-the-blank questions on the same test paper and use a OCR-like solution for those? If so, how where would I edit the code to disregard these fill-in-the-blank questions? Any recommended OCR solutions that would work well with this? Again, thanks so much. Love the site & newsletter! 1. On Line 90 you would change the “5” to a “4”. Same goes for Line 94. This should be the main lines to edit. 2. You may want to try Tesseract for OCR and then look at the Google Vision API. hi, can anyone can tell me this code is patent? can we use commercially or not with further development? Are you asking about my code on this blog post? It’s MIT license. You can use it on your own projects but I would appreciate an attribution or a link back. The predictions are the exact replica of the data with which it learned from. It doesn’t seem to matter what is “shown” to it. I’m not sure what you mean by “data with which it learned from”. The algorithm in this post does not use any machine learning. Could you elaborate? Good morning. I proposed this project to our design project/thesis project. But our instructor asked why I do this system if there is a machine in store. Can I try this on Windows 10 OS? I want to make this project in our thesis that can answer 60 question and save the score via MySQL. 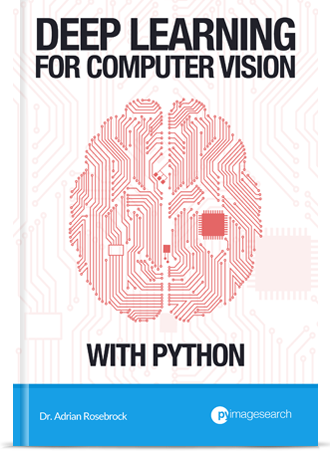 Provided you have OpenCV + Python installed on your system this code will run on Windows. hi, sir I have partially filled a wrong bubble then completely filled a correct bubble in my state staff selection commission exam.will it be counted as correct response? ?.plz sir tell me. Hey Manas, I would recommend that you try the code and see. I’ve discussed extensions to handle partially filled in bubbles or no bubbles filled in either. You need to provide the “–image” command line argument to the script. If you’re new to command line arguments you need to read this post first. I am replacing –image with image name for ex. “1.png” and “path to the input image” with my path where image is stored for ex. “C:\\Users\\SAURABH\\Desktop”. Could you possibly help me utilize this code for a more traditional “scantron” style document? I’ve noticed a few issues with them already: If I blur the document almost nothing is left when examining it. I plan on making it to the end of the tutorial without changing too much but I may require assistance and I would be delighted if you would be able to help. Hey Robert — this blog post is really meant to be just an example of what you can accomplish with computer vision. 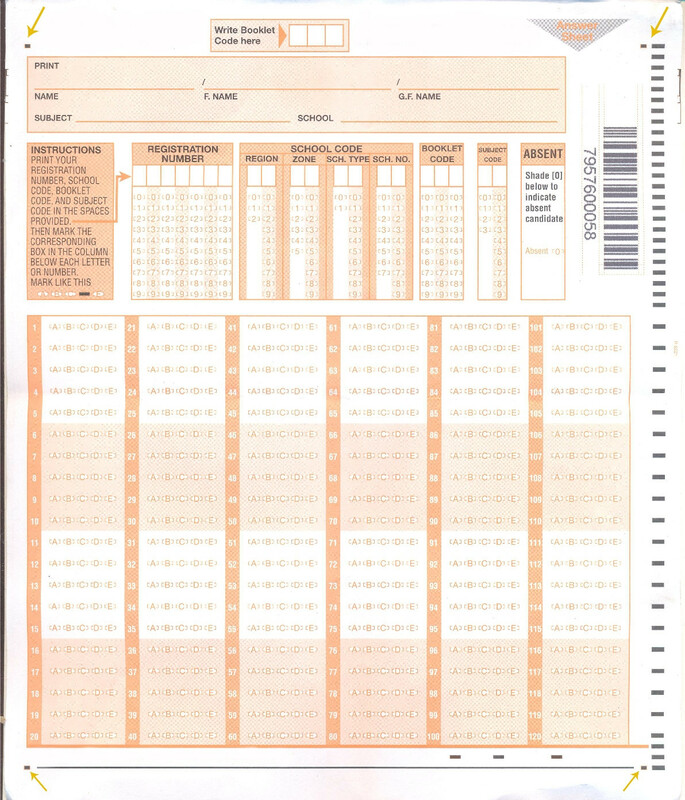 It’s not meant to work with Scantron-style cards right out-of-the-box. I’m happy to provide this tutorial for free and if you have any specific questions related to the problems you’re having updating the code I’d be happy to provide suggestions. I finally got it to work by taking a very good photo of the test. I was wondering if you encountered similar problems while writing the tutorial, and if there are any additional steps, aside from fine tuning the thresholding/masking, to deal with this kind of noise that generalize well to different images, i.e. with flash, without, wrinkled paper, etc.? For a commercial application I imagine the tests would be scanned and then these artifacts wouldn’t really be an issue, but I’m just curious what you think. If you are trying to build a commercial grade application you would certainly need to apply more advanced algorithms. 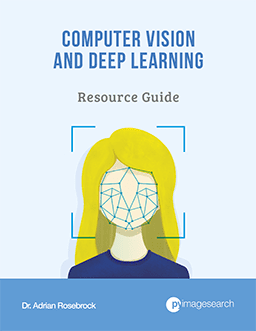 This tutorial is meant to be a proof of concept and show you what’s possible with a little bit of computer vision, OpenCV, and a few hours of hacking around. It’s meant to be educational, not necessarily a professional application. Hi Adrian! just want to ask, will it work if i use squares instead of circles? That is absolutely doable, just follow this guide, specifically the steps on contour approximation and detecting squares. Any idea how to use multiple columns and read it correctly? I have rectangular boxes inside of circles . Is that a type of bubblesheet/OMR system? Or is that just a general computer vision question? if background is white, it not working?